It's been a year since if not us was released! 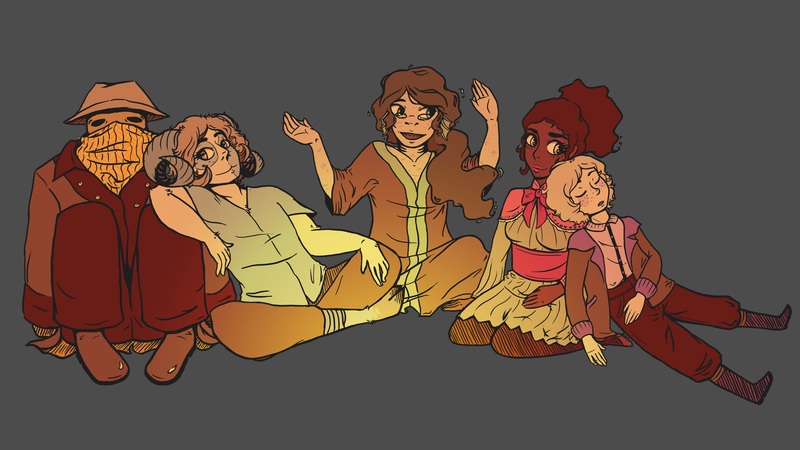 To celebrate have some new art by @wanderlustin, featuring our hero squad Happy and Alive. I spoke in a showcase of Australian independent games, about how while it might not appear as such on the surface, if not us is intensely personal to me. If you're interested you can watch the showcase here - I speak about 25 minutes in, but it's worth your time to listen to everyone! It was a wonderful night. Thank you everyone for your support! Keep up to date with the visual novel I'm working on/some other bits and pieces I have in the works by following me on Twitter or right here on Itch, and hopefully I'll have something fun for you in the short-term.